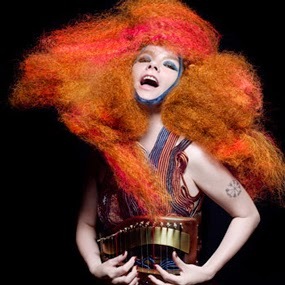 Charles Thomson: London Film Festival - Bjork fails to impress... or even show up. London Film Festival - Bjork fails to impress... or even show up. I attended the premiere of Bjork's new documentary a few days ago. Bjork didn't bother. She was supposed to, but she suddenly pulled out, citing a rather flimsy excuse about working on an album. She would have known she was doing that when she committed to the premiere. All a bit odd. All a bit Bjork. Directors Peter Strickland and Nick Fenton, and producer Jacqui Edenbrow, apologised at the premiere for Bjork's absence. I'm not a particular Bjork fan, but was interested to give the film a go and see whether she could win me around. Sadly, she didn't.